Gone are the days when we just wanted a good coverage from our foundation, a pop of colour for our lips and a sun kissed glow on our cheeks. Nowadays, if make up isn’t containing hydrating/anti-ageing/radiance boosting/magical ingredients, forget it. With winter nipping at our cheeks and giving us that flushed frost bitten look, now is the perfect time to invest in make up that has a little more protection. Here are my favourite products that will keep you in top condition through the colder seasons. L’Oreal’s Color Riche lipstick glides on effortlessly like liquid satin, leaving lips moisturised with a shiny finish. Because it slicks on so well, I’d recommend using a lip liner, as it’s easy to get carried away and go over the edges. Once applied it stays put, and the Omega-3 oils and Vitamin E protect your lips from drying. What more could you want? 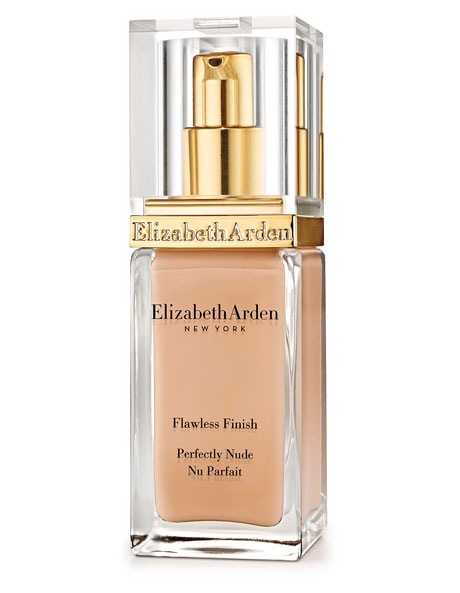 Back in November, I went to the press preview of this stunning foundation before it hit the shelves. I’ve honestly never left a building so excited about a foundation in my life. It has a light, breathable formula packed with vitamins and antioxidants to protect and perfect skin, and moisturise for whopping 24 hours. It also minimises pores instantly, and continues to do so over time with continued use, so you achieve a radiant finish that gets better every time. It’s a Long Story is Arbonne’s newest mascara that claims to lengthen and condition lashes in just four weeks. I normally dislike comb-like wands as they can never load up my lashes enough, however this wand worked brilliantly and I was left with long, clump-free lashes. I also have an attractive habit of picking my mascara, but when I went to do this, the anti-flaking formula stopped me in my tracks. If it can convert me to comb applicators and stop me picking my lashes, I’m sure it will deliver on its lengthening promises. Who has time to apply a strengthener, growth treatment, base coat, two coats of colour and top coat? With 2 jobs and running this blog I definitely don’t, so painting my nails isn’t top of my priority list. This is why I love Sally Hansen’s Complete Salon Manicure polishes, as they combine six coats into just two. The darker colours are particularly good, but the paler ones can go a little patchy due to the heavy formula, however all shades have a smooth gel-like finish. Once again I’m bowing down to Liz Earle. I get really dry cheeks, especially in winter, so it’s important my blush has a little moisture. This natural, Vitamin E enriched cream blush also comes in powder form and in a range of colours to compliment any skin tone. You can also apply it to your lips and eye sockets for a little extra glow. Do you have a wonder product in your make-up case?